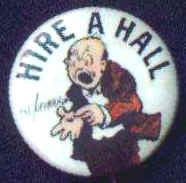 Comics artist Hal Hoffman was among several cartoon artists who created artwork for cigarette pins. 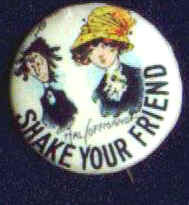 These humorous cigarette pins were premiums given away with packs of cigarettes in the 1910s through the 1930s. 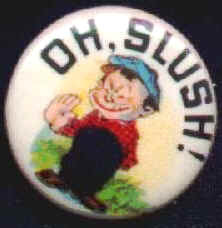 Most pins shown on this page were part of our original collection, and have been sold. They are shown here for historic purposes only. We hope you enjoy viewing them. Please contact us for a complete list of the few pins we have left available for sale.